Today we’d like to introduce you to Rob Compagna. Thanks for sharing your story with us Rob. So, let’s start at the beginning and we can move on from there. 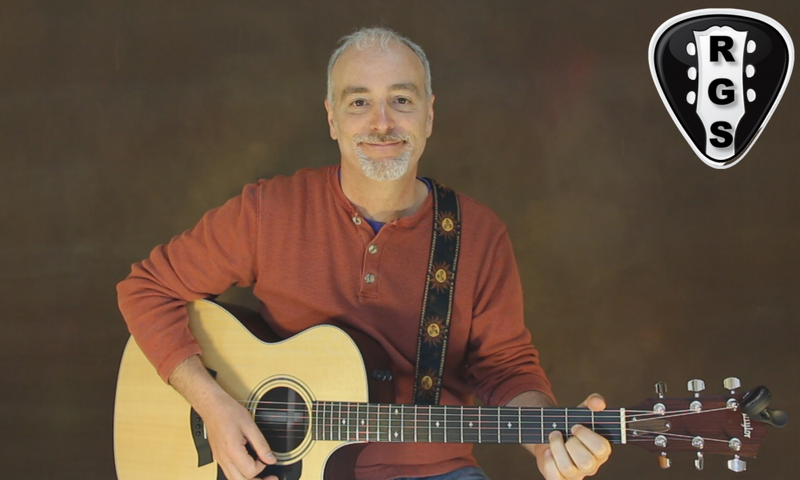 I started Rob’s Guitar School in 2013 after I was let go from a major financial firm in the Boston area after working nearly 20 years in the financial services industry for some of the really big companies. I chose not to go back into it because it was not my passion and instead I decided to pursue my dream of making a living by playing guitar. I’d been playing guitar semi-professionally for over 30 years at that time and had taught guitar at music stores and to friends and family members but had never really considered turning it into a career. I started the school originally in my home but then moved to a nearby yarn store in Groton, MA with a gracious owner who really believed in what I was doing. After several years of teaching there we moved to a new location in the center of Groton MA and in 2016 we opened a second location in Newton MA. There’ve been a number of ups and downs but we’ve never given up on our desire to be the best guitar school ever, and it’s really paid off. Our students love learning guitar just as much as our teachers and I love teaching it. It really is the best job that I ever could imagine. We definitely had our struggles. Trying to get the word out on a limited budget requires a lot of work and dedication. I can remember hand delivering about a thousand flyers to every mailbox in the Groton area during our first few months. From having booths at farmers markets and in regional county fairs and in local volunteer events, we’ve worked our butts off. I’ve been on radio stations and local public access channels promoting our guitar school. I’ve brought my guitar with me and played on the side of streets waving at people to stop and take flyers for a free guitar lesson. All at the same time while developing an excellent teaching program for our students to get the maximum benefit of. I’ve also benefited from the excellent advice from my wonderful fiancée and from close friends around me. I’ve always tried to listen and learn and be open-minded because the second you think you know it all is when you start going backwards. It’s been tough but very, very gratifying. Please tell us about Rob’s Guitar School. We’re a growing guitar school that evolves around our mission statement to be the best guitar school ever. To care about our students and their progress more than any other music school or music teacher around. Without that being in place, we would not be the growing thriving business that we are today. If you don’t put your students first, you won’t get very far at all. In our guitar schools, each of our students receive their own personal student handbook that is hand made for them. We offer multiple guitar programs for the acoustic guitar, electric guitar and bass guitar each at different levels; beginner, intermediate and advanced. We’ve even taught mandolin and ukulele lessons. The majority of our programs offer more than one class a week giving our students the opportunity to get more than one lesson a week. When you add to that a monthly private lesson detailed to each student’s specific goals on guitar, you get the very best guitar learning experience anywhere. And then when you add periodic opportunities for students to perform what they’ve learned if they wish that just pushes us over the top. Who else deserves credit – have you had mentors, supporters, cheerleaders, advocates, clients or teammates that have played a big role in your success or the success of the business? As I was saying before, my fiancée Donna has been a great influence. She, herself, is a very successful investor who has given me enthusiastic support and great ideas drawing from her own experiences. She’s a great sounding board when I run into a challenge. I’ve also talked to fellow business owners and try to draw from their experiences and at times have seen a business coach. I’m also a 3rd degree black belt in Uechi-Ryu style karate and my sensei, Neil Stone, who is himself a very successful business owner has been a terrific source of advice, especially when I first started. My students, past and present, have been a huge help. Their support and word of mouth have been invaluable. Starting and growing a business is not something that you can do alone. It takes a lot of help and advice. Finally, I’m constantly listening to, watching and reading motivational books, videos, cd’s and tapes. It’s so important to keep a positive viewpoint on everything that happens and realize that challenges are really opportunities to learn and grow. Also, learning about how to set and go about achieving goals has been critically important to me.